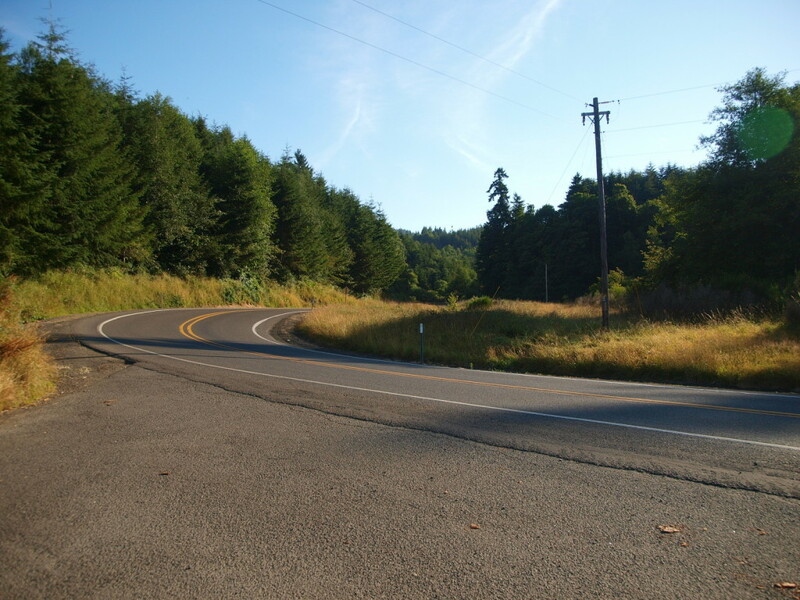 From McMinnville – Head west along Highway 18/Salmon River Highway towards Grand Ronde. 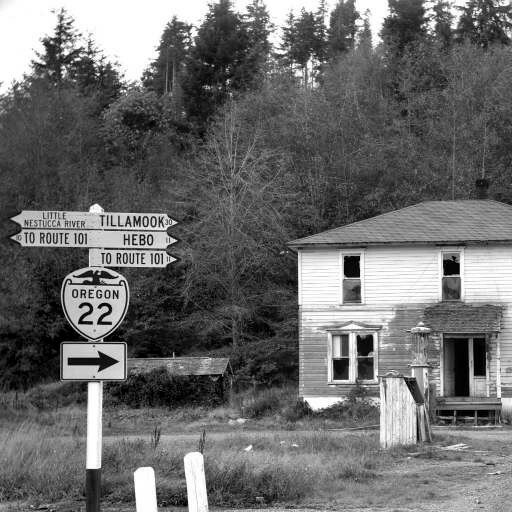 Before town, turn right and follow the signs to Fort Yamhill on Hebo Road. At about thirteen miles the road splits into a ‘Y’ at Little Nestucca River Road. Dolph was at this intersection. 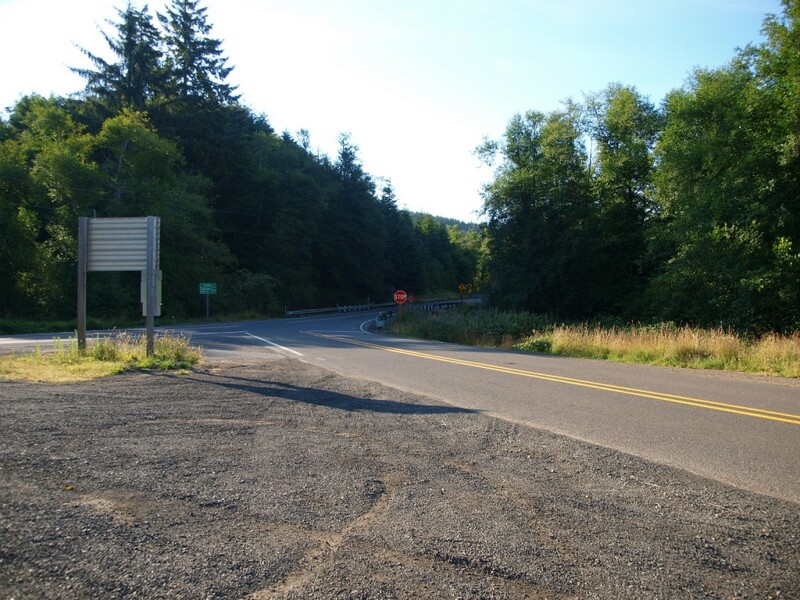 From Tillamook – Head south on Highway 101. Turn left on 3 Rivers Highway. Dolph will be at the ‘Y’ intersection with Little Nestucca River Road. 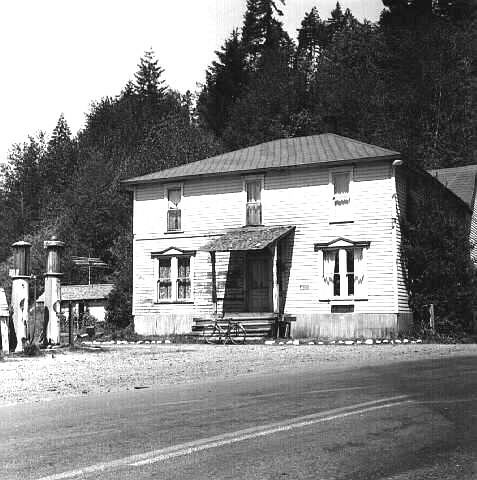 Located about ten miles south of Hebo, on Highway 22/Three Rivers, Highway, this town was named in honor of Joseph N. Dolph who was Oregon’s US Senator from 1883 to 1895. A post office opened here on April 22, 1886 and closed on October 31st, 1921. 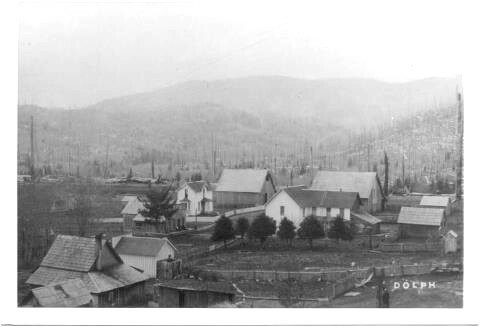 Apparently the town of Dolph was bigger (or luckier) then nearby Bellwood. 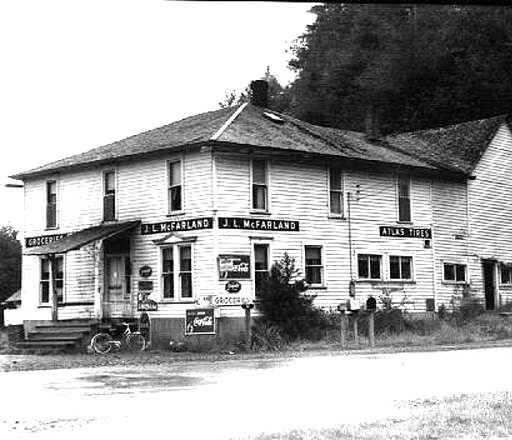 Located “a few miles east” (along what is now labeled “Hebo” Road,) it’s own Post Office was “closed to” Dolph’s on August 15, 1906. 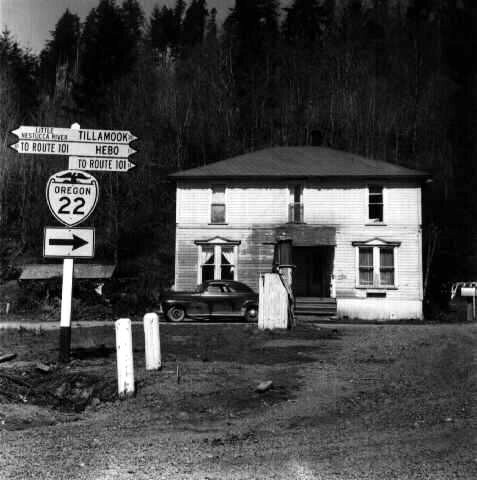 Today the location is nothing more then a cross roads along two separate (and very fun) drives along the Little Nestucca River in Tillamook County. I’ve heard that there is graveyard remaining, but in two visits to this location, I have not been able to find any sign of it. If there was one, it’s long over grown. Please comment if you know anything about Dolph, have pictures of the area, or can tell me where the Graveyard is located. The following pictures were contributed by Pat Cooper who lives in nearby Beaver. His father took these pictures in 1963 and 1965. This is a grave yard by the old town site of Dolph. It is on the old wagon road, probably overgrown now, but look for the trees that have been cut back or shaped to make way for the wagons. Great! I will definitely look for it more closely next time I’m there. Thank you! Hello, Rick . Dolph, Oregon . My G. Grandfather August C. Kautz built the Dolph Hotel. General August V. Kautz stopped by one time when in the area too. Hence name of nearby Kautz Creek. I have read http://en.wikipedia.org/wiki/Dolph,_Oregon a small cemetery may exist atop a hill about a half mile away. Thanks for stopping by Larry! 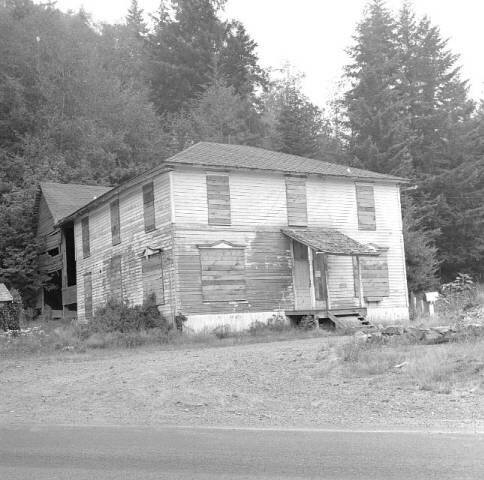 I’m amazed at how much information is coming out about this little town that no longer exists!. Not to call anyone out, I assume it is a misunderstanding, but just a note that some of those photos are actually by Ben Maxwell and are part of the Salem Public Library’s historic photos collection. The second photo is part of the Sisson collection and appears to be much older than 1963 as I think it is the old location of Dolph so it was probably taken in the early 20th century. To clarify, the new location of Dolph was a bit northeast of the crossroads, and the old location of Dolph was a half mile to the east, with the cemetery being a half mile from the old town site at the summit/county line. According to the 1978 Oregon Cemetery Survey (which is available online), it was in a state of being abandoned to nature. Forgive me, I think the old town site is a couple miles as the crow flies from the new townsite, not a half mile. But the county line is closer. All I know is the old cemetery is listed as being at T5S R9W and I assume this is section 36. This topic certainly lends itself to confusion. Thank you for stopping by Ann, and welcome to the paradox that is sometimes present in hunting for these towns. Older buildings were frequently moved. 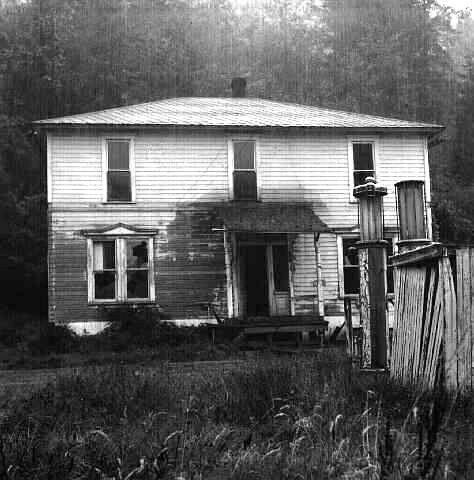 Post Offices were frequently at someone’s house who lived up to 5 miles from what was considered the town. Stores would close down and reopen at a different location. It makes things confusing in general, especially when you’re trying to pin down the exact location to find any remaining buildings, or in this case, the old graveyard. is on private lumber company property. I was told about the old road with the tree cut or shaped in order to let the wagons by…it is a must check out as soon as the rain stops list!